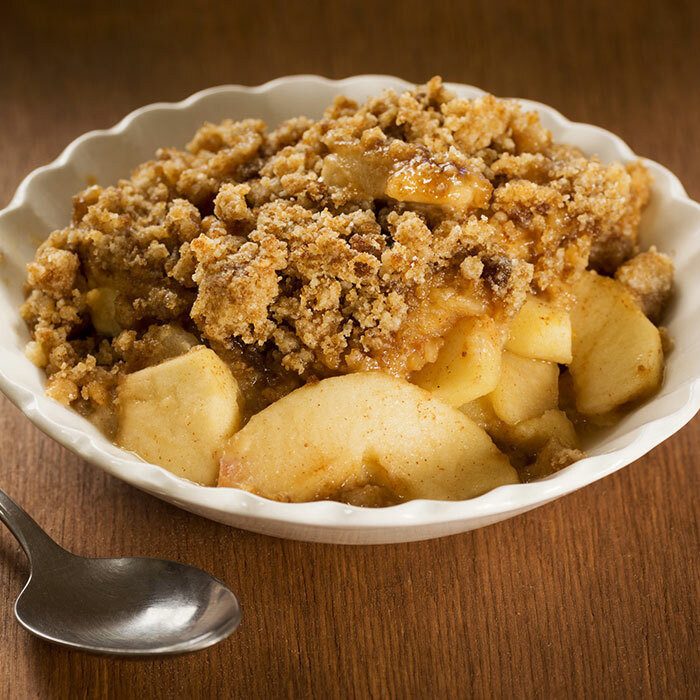 Serve this apple crisp with vanilla ice cream for an extra special treat! Place apples in an 8×8 baking dish. In separate bowl combine sugar, flour, salt and cinnamon. Spread mixture over apples. Combine oatmeal, butter, sugar, flour, baking soda and baking powder and work until crumbly. Sprinkle over apples. Bake at 350º until oatmeal is golden brown.